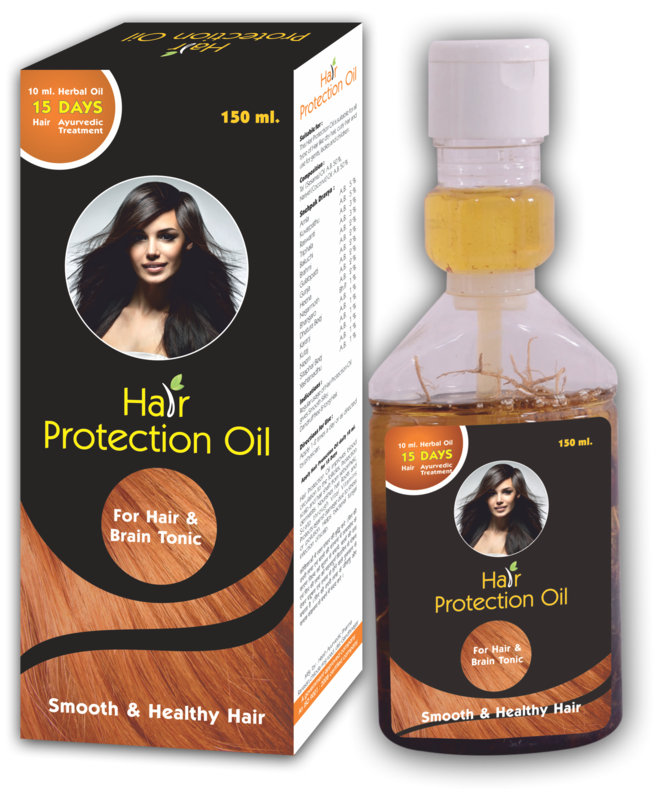 HAIR PROTECTION OIL is processed as per tail pak vidhi. Based on ancient ayurvedic principles, oil contains exotic blend of ayurvedic and herbal ingredients like Bhringraj, Amla, Jatamanasi, Almond oil, Olive oil and Coconut oil. Helps to make hair strong, vitalized with a naturally healthy look Scalp Nourishment Method of Application:- Gentle massage on the scalp two hours before bath or at bed time. It can also be used regularly after bath. The herbs from which oil is prepared are packed along with oil in bottle to make hair oil more potential. This makes our product unique and effective.